We spread FIRST with PRISM: Presentations, Relationships, Inspiration, Social Media, and Mentoring. Spectrum presents at local events like Comicpalooza, Maker Faire and Sally Ride. We build relationships with sponsors and STEM partners. We inspire underserved groups with free STEM camps and Make it Loud on social media with over 160,000 video views, 25,000 photos, 8,000 tweets, & 3,000 total followers. We promote mentoring with TX Mentor Workshops, Mentor for a Day, and How I Work blog articles. 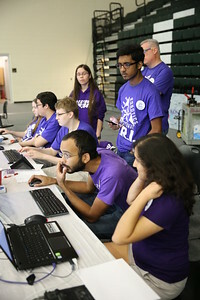 We are very active volunteers in the robotics community. Our team members can be found at countless events as referees, judges, field staff, and on the production teams. We have hosted numerous events and we work dilligently to help live stream and archive FRC events in our area. 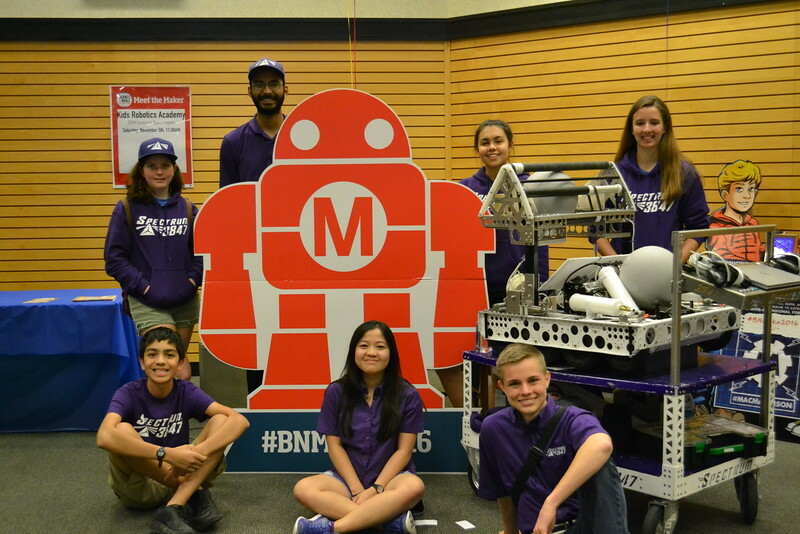 Spectrum members have helped at FRC, FTC, FLL, VEX, VEX IQ, BEST, and MATE competitions. 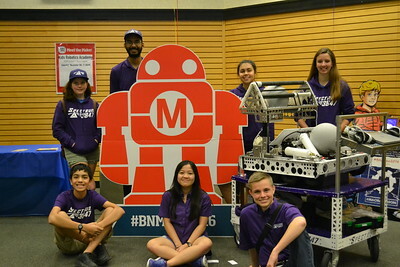 If you have a robotics event that needs volunteers please contact us and we will try to help where we can. Spectrum has taken on the cause of hunger in our community. Volunteering at food banks, food distributions, and urban gardens we gain first hand experience in the fight against hunger. 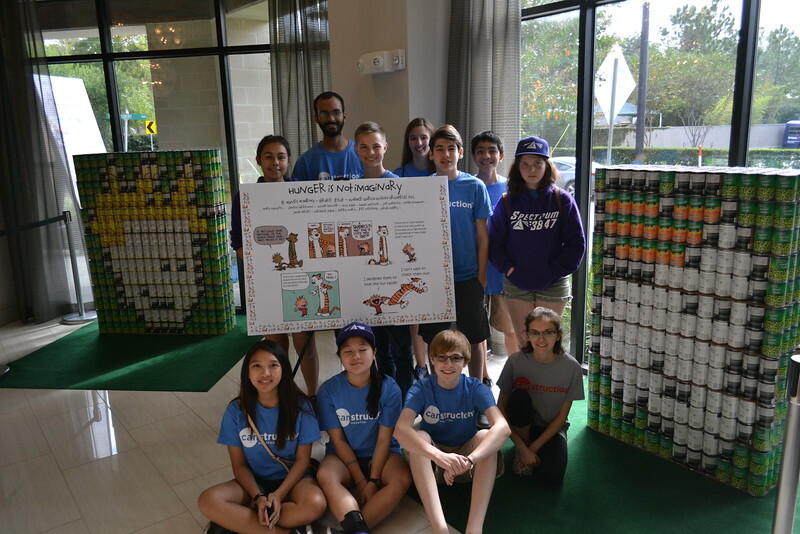 Each year we design & build a sculpture made of canned goods. Over 5 years this has donated 15,000+ cans to the Houston Food bank.